Usine Hollyhock by Sensomusic is an Audio Plugin Host. It can host VST Plugins and Audio Units Plugins. Win XP: Usine works on Win XP but no technical support is provided by Sensomusic. Usine Hollyhock Pro is the ultimate Digital Workstation made for live or studio utilizations and for artistic installation. 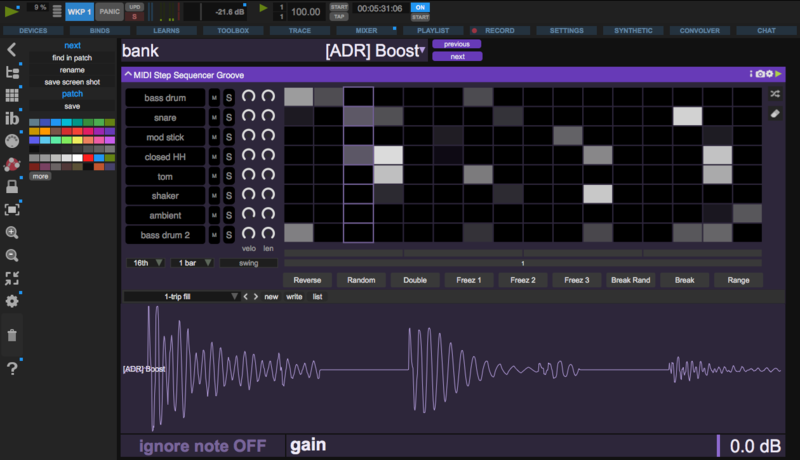 It was created out of the need for a flexible software solution for spontaneous electronic music creation, including live sampling, effect processing, sound design, Video, DMX and Artnet use. 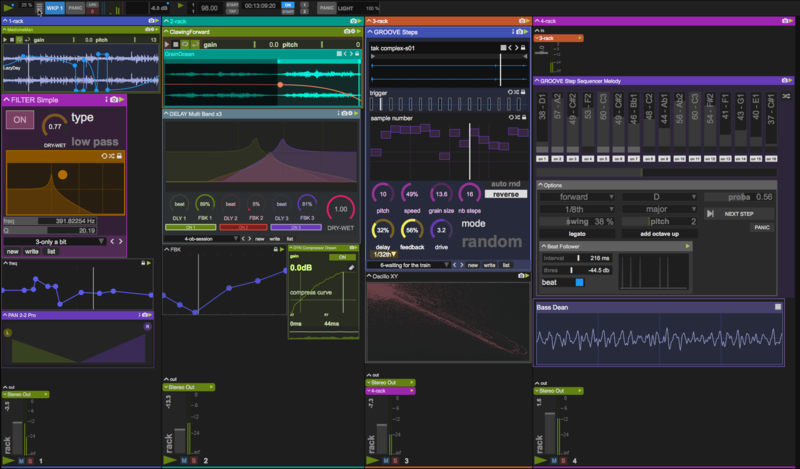 Usine provides the user with the ability to host AU/VST plug-ins, process and route audio, MIDI and OSC, and design personalized virtual control interfaces. Also it's a modular environment, which means that, even if you can find many ready to use examples, the main goal is to create and customize your live set to fit it exactly to your needs. A grid to organize your sequences. Surround up to 64 channels. leap Motion integration (with Leap V2 support). Share patches over the LAN. Video support. (with 50 Fx's). DMX/Art-net support for light management. SMPTE, MIDI Timecode (MTC), Linear Timecode (MTC) support. Many ready made patches in the library.